If you are taking thermal images of various things you should be well aware of the fact that while thermal images do show the temperature of objects they do little to provide easy visual cues to what part of the object is hotter or colder. 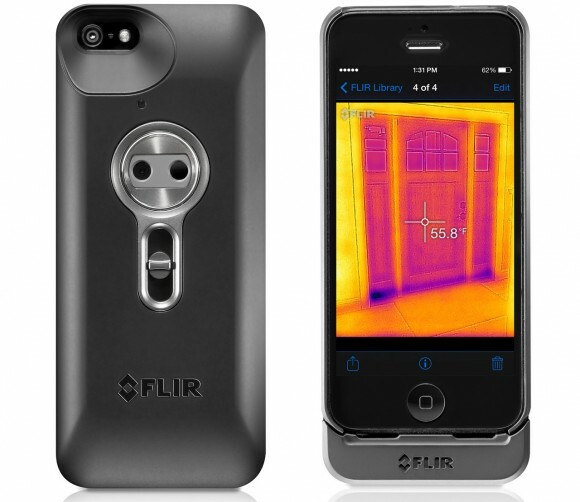 The reason is that thermal images just record the temperature information of objects and while this can create somewhat of an outline of the object you are examining, if you do not take a visual image to store with the thermal image later on you might have trouble identifying things on the thermal image. Not all thermal cameras ca do that – record both thermal and visual images, but even if your camera does not support that (like our FLIR i7 for example) you can still do pretty well if you use a digital camera or your smartphone to also take a visual image as a reference. Thermal MSX (Multi Spectral Dynamic Imaging) images is what FLIR calls their mode of overlaying both thermal and visual images together and processing the data in order to provide a more detailed thermal image and this mode does work very well as you can see on the sample image above. Even with lower resolution thermal image when you overlay on top of it a visual image and combine the two to have the outlines of the objects you are shooting the end result can be really good. On this thermal photo we have recorded the temperature of an Mitsubishi Air-conditioning system in operation shot with the FLIR ONE thermal camera accessory for iPhone. Even though the FLIR ONE is with a low resolution thermal imaging sensor when we combine the thermal with visual information the resulting thermal MSX image does look really good as it can give both useful thermal and visual information, especially if the goal of the image is to be more understandable to people that are new to thermal imaging. Taking MSX thermal images (overlaid visual and thermal data) however is not possible all the time as taking a good image in the visual light spectrum does require you to have good light conditions, unlike thermal images that can be taken even during total darkness. So make sure that you have enough light available when you need to take MSX thermal images if you have a thermal camera capable of this as not all models can do this, but as we’ve explained you can help yourself by taking manually a visible spectrum photo with the help of your smartphone or digital camera.